If you have a device with Android 4.4 (KitKat) or later, you can connect wirelessly to an external display, like a TV, so that everyone can see the same screen. To connect wirelessly, you must have ether aChromecastor anAndroid TVthat is then connected via HDMI to your screen. 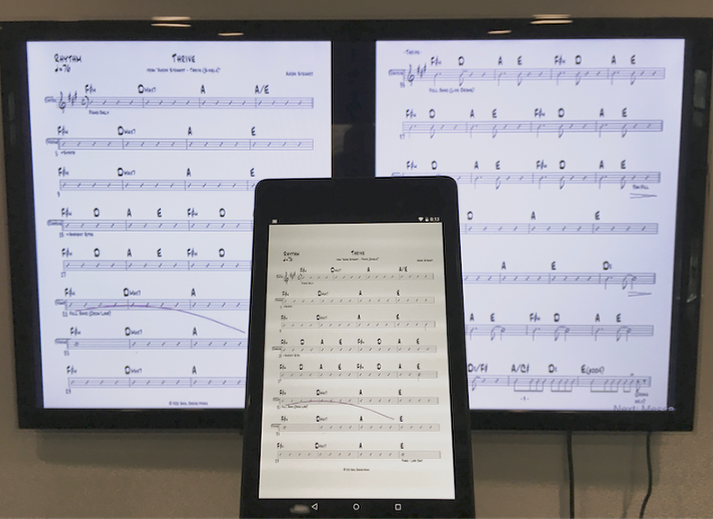 The Android device connects wirelessly to the Cast receiver, which then displays your music on the TV. 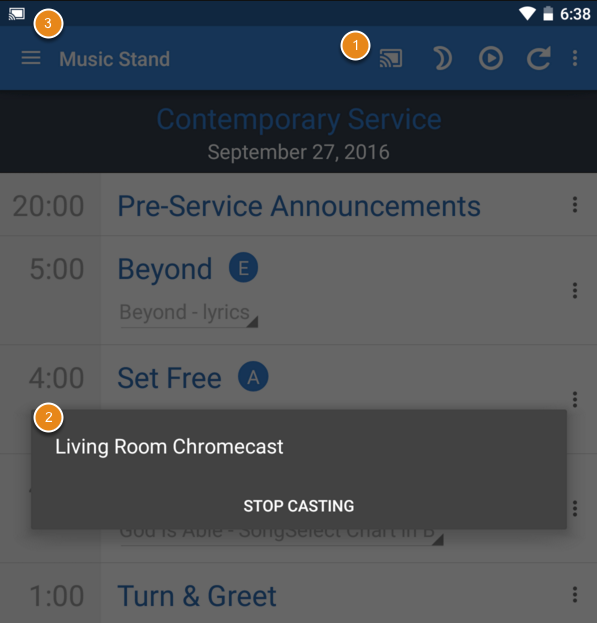 NOTE: Google Cast is only available on devices that run Google Play Services. If you're using Amazon device, Google Cast will not be available. Choose a Cast receiver from the menu (If you don't see the Cast button, your Device and Cast Receiver are probably not on the same WiFi network.) Choose, "STOP CASTING", from this same menu, when you're done using the External Display. The external display will always show two pages at a time and will be synchronized with whatever is showing on your Android device. Your music will continue to show even when you return to the plan screen to make any changes. Changes to your Annotations will update live to your TV the moment you save them.